Don attended the University of Toronto, receiving his Bachelor of Arts degree in 1981. He then attended the University of Western Ontario, graduating with a Bachelor of Laws degree in 1984. He was called to the bar in Ontario in 1986. In the 1980s, Don served as in-house counsel for a Canadian financial institution and worked with a major Bay Street law firm. Don practices in the areas of business and wills, trusts and estates law. In the business law area, Don has advised clients with respect to many business and real estate purchases, sales and financings, as well as mergers, reorganizations, joint ventures, leases and other commercial transactions and shareholder/partnership arrangements. Don has also advised clients regarding the planning, implementation and administration of complex wills, trusts and estates. Don is a member of the Waterloo Law and the Ontario Bar Associations. 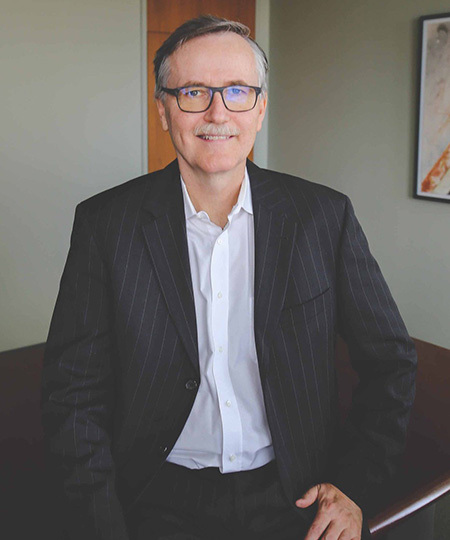 He has conducted numerous business law seminars sponsored by the City of Kitchener, the Chamber of Commerce, Wilfrid Laurier University and the University of Waterloo and has written articles on a range of legal issues concerning business owners. He also chaired the Technology Division of the United Way. Don enjoys squash, canoeing, hiking, golf, skiing, traveling, reading, jazz and theatre.